My mom dragged me kicking and screaming to Passion '97 when I was a senior in high school. God did an awesome thing in my life that week after four years of drifting farther and farther from Him. I saw thousands of college students worshipping and running hard after Jesus and it made me hungry to abandon myself to Christ. I was headed to Texas A&M University in the fall and I'd heard how many Christian students were there. I'd heard all about a big - and by big I mean several thousand students - Bible study that everyone went to called Breakaway. Mom and I were walking through the arena when we bumped into Gregg Matte, the director of Breakaway Ministries. Mom introduced me to him and said, "Amanda will be at A&M in the fall!" I don't remember what he said but he was super friendly and I knew I would want to try going to Breakaway once I got there. The time finally came when I drove my maroon Mustang to College Station, moved into Krueger dormitory and lugged my maroon, monogrammed Jon Hart backpack across the enormous campus of 44,000 students. I joined a Christian sorority called Phi Lamb and threw myself into community with other believers and getting to know the Word that I'd been neglecting. Breakaway happened every Tuesday night at 9 p.m. It was the cool thing to go to but it was more than that. It was a time to worship God and hear the Word preached. At the end of every semester, Gregg invited students to stand who had given their lives to Christ in the last few months. It was always an awesome sight to see. My freshman year Breakaway was held at Central Baptist and by my junior year it had moved to massive Reed Arena. Chris Tomlin led worship that year and the next year we had Shane and Shane. Can you believe how spoiled we were? I met Curtis the summer before my junior year and as the fall semester approached, I sensed God calling me out of Phi Lamb. It was a painful decision but I felt that He wanted me to make room for something else. My friend Jennifer Hamm and her husband were moving back to College Station for grad school and Jennifer would be working at the Breakaway office. Jenn had met with me a few times before I came to A&M and she is the reason I ever joined Phi Lamb. Jennifer, Kelly Matte, and Melissa Stone - the three Breakaway ladies - were all going to lead discipleship groups that year and Jenn invited me to be one of the four girls in hers. I knew this is what God was having me make room for. It ended up being a life changing experience for me. Breakaway was taking a group of their volunteers to Venezuela for a mission trip over spring break. Jenn knew I loved Spanish and invited me and Curtis to come along. The only problem was I wasn't a volunteer! So, literally, I joined the volunteer team so I could go on this trip. Ha! After going through the application process, I was invited to join the discipleship team. This was the group of students who talked and prayed with people who came down during the invitation and helped disciple the students who gave their lives to Christ. I loved, loved, loved being a part of that team. Our team worked closely with Gregg and that's how Curtis and I got to know him. Our Venezuela trip was amazing and I realize now how blessed all of us students were to have the kind of leaders we had pouring into us that week. Curtis and I came home from that trip knowing that we would marry and serve God together for the rest of our lives. The next semester I was invited to be the female co-leader of the discipleship team. I got to work with a great guy named Patrick Blocker, who now serves at Watermark Church in Dallas, and later the amazing and stupendous Andy Barner from Austin, Texas. I think that was one of the first times I had been a leader of anything. I am telling you all of this because in a really big way, Gregg Matte helped shape and train me for ministry. When I came on staff at LPM, my mom thanked him for giving me that experience so that her own daughter had a little more credibility! During the year that I co-led that group, I got to see how Gregg lived his life close-up. He and Kelly were genuine lovers of God, of each other, of students, and of their new baby boy. They were fun to be around but serious about Jesus. They were the unofficial shepherds of our student body, which must have been a tremendous weight on their shoulders. When we went through horrible seasons like the fall of bonfire and September 11, 2001, Gregg's leadership was a huge comfort to everyone. My home church, Houston's First Baptist, was without a pastor and in an interim period the entire time I was in college. Gregg was invited to preach there on a number of Sundays. He did a fantastic job and everyone responded really well to him. I'm sure he doesn't remember this, but one day I told him, "Gregg, you should be our pastor!" He laughed and said that he should probably start with a smaller church first. Curtis and I were already in England when we heard the news that Gregg was being called as our home church's senior pastor. We were so excited! It was not God's plan for us to return home to HFBC after England, but we kept up with everything going on down there when we were in Irving. When we moved back to Houston three years ago, we were excited to sit under Pastor Gregg and be a part of our old church again. I am so proud of Gregg and Kelly for how they have allowed God to use their lives for His glory. They are shepherding our church with such wisdom, strength, love, humility, and Spirit-given power. Gregg has walked with Curtis and me through some of the biggest crises we have faced in our marriage. I type those words soberly and gratefully. His support in the mountains, valleys and ravines has meant more than I can say. We have been at a crossroads for the last year and he has been quick to encourage us as we seek God's will. This was rather ironic timing because Gregg spent that year writing a book called Finding God's Will. One of the coolest moments of 2010 was buying the book in our church's bookstore and taking it to him to have it signed. 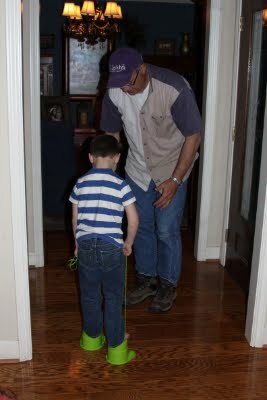 It was a weighty moment and all I could think to say was, "This is the real deal, Pastor!" I am so proud of Gregg and everything God has used him to do. This book is going to be a great help to the body of Christ. When I started the book, we had already chosen which direction to take at our crossroads. But I was having many "Are we crazy? Is this possible?" thoughts at the time. Finding God's Will helped settle the issue in my heart and it encouraged me to keep moving forward. I was also really blessed to read Gregg and Kelly's story within the pages. 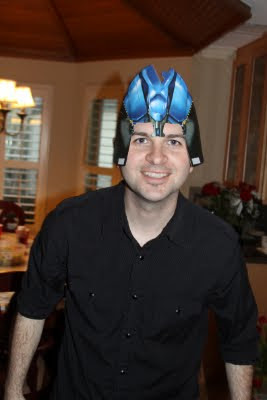 I only wish Gregg had cited my incredible knowledge of God's will when I told him he should be HFBC's pastor. I mean, clearly I was onto something! Thank you for everything, Pastor Gregg and Kelly. Curtis and I are your biggest fans. 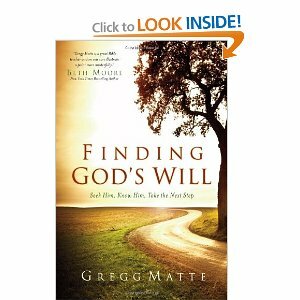 *You can get a copy of Finding God's Will: Seek Him, Know Him, Take the Next Step online here. Have you ever wanted to change something about yourself? I know that I'm "fearfully and wonderfully made" and that God hand-picked my personality traits and spiritual gifts to His good pleasure and glory. But sometimes I'd really like to trade my sensitivity for some thicker skin. Curtis and I have some exciting things going on but last week all of it had come to a head and I felt like I wasn't wearing any skin. Every little thing penetrated and burned. Oh, what I would give to let things just fall off of me instead of bruising my heart. My sister and I were standing behind the resource table at Bible study when two ladies approached to ask if our mom had any more homework to give them. She is currently writing on the life and book of James and teaching the sessions on Tuesday nights. Our Houston ladies were given 3 weeks of written homework, but that was all we could promise them. Writing Bible studies takes quite a while. I believe my mom told me that it took her a month to write one week of homework. Anyway, we explained why there was no more homework for them and before they walked away, one of them said, "Well you girls need to stay away from your mom and keep her grandkids from her so she can finish it." When Jackson was born, my mom said her biggest nightmare was that one day someone would say, "Jackson, did you know that your grandmother spoke in arenas to teach women about Jesus?" And he would respond, "Yeah, that's great, but I never even knew her." My mom is very close to my kids, just as her mother was to me. When she's in the room, I'm chopped liver. And that's the way it should be. Even though I know truth, the words stung me. I felt raw and vulnerable to every little thing. I wrote a blog post in my head called "The Top 10 Dumbest Things People Have Ever Said to Me." God said "Love keeps no record of wrongs." I begged Him for thicker skin so I could leave this kind of thing behind. God did not tell me yes. He said my problem was not that my skin was too thin, but that I needed to forgive. Oh wow. I have a forgiveness problem? It's not just that I'm overly sensitive? I'm unforgiving? That was hard to hear, but I think it has set me free. 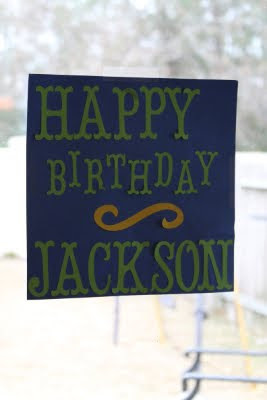 Jackson's Fifth Birthday Celebration began on Wednesday. We met up with my mom and sister at Chuck E. Cheese to play and have lunch. Jackson loved Chuck E. Cheese. Annabeth was terrified of the guy in the costume, but she liked the robot one on stage. You can always tell which drink is my mom's. 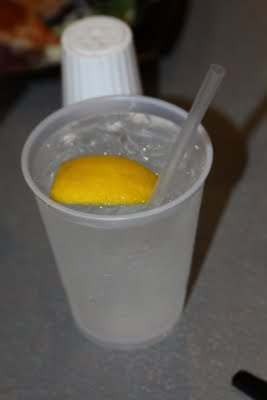 It's water with lemon that hasn't been touched. I challenged my sister to basketball and she whooped me. Melissa and Annabeth waving to "Chick Chuck." That's as close as she would get. Wednesday night after church we got the kids ready for bed and I rocked Jackson in his old glider that currently sits in our guest room. 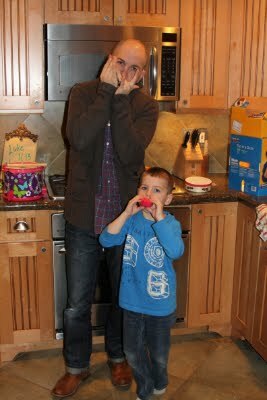 He let me give him lots of smooches and I told him all about (well, the kid version of) the day he was born. He grinned the whole time. On Thursday morning the birthday boy got to open some presents. This market stand is from Nana and Pappaw in Missouri. It looks so neat with all the food in it. Thanks, Steve and Cozy! Annabeth was a little bratty about her brother's birthday. Since he was playing with new toys all day, I thought she would like to wear her new Dora ballet dress for the first time. She screamed and acted like it was eating her flesh. She desperately just wanted to wear Jackson's helmet. I didn't let her because she has a habit of throwing things and destroying them. 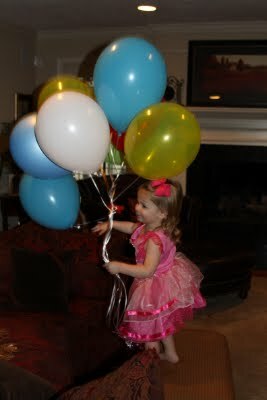 Here she is - still in the odious ballet dress that she eventually embraced - playing with Jackson's balloons. Jackson picked out Transformers plates and such for his birthday party at Bibby and Pappaw's house. Annabeth laid down in all the wrapping paper. She did this on Christmas morning too. So weird! My dad fell asleep, which is not unusual. I'd give him a hard time about it but he was my hero with that amazing dinner and he had driven home from the ranch at 5:30 AM. Also, I found out that asking for fresh fish in February is kind of a tall order. Thanks again, Daddy! You were the birthday hero. This cake was meant for AB's birthday, but when we had the Blizzard That Never Was on her birthday week and the bakery had no power due to rolling blackouts, we saved the order for Jackson's birthday. I had them leave the pink polka dots off and it wasn't nearly as cute. But it tasted great. These pictures are from this morning. Let's call this series "Birthday Aftermath." Jackson is a whole hand old. This was the sign his teacher made him for the classroom. The last of the cupcakes that he took to school. What are balloons good for if not punching? Annabeth was hiding from me. In the egg chair. 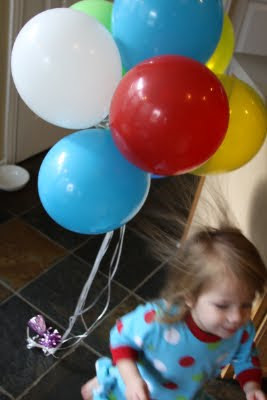 With the balloons. We were all beyond exhausted this morning. And maybe a little cranky, too. It's been a really big month. The Jones Children Birthday (with Valentine's sandwiched between) Extravaganza was great fun and now I need a nap. Or three. Or five, since I also celebrated five years of motherhood. Let's see if I can talk Curtis into that. At 1:44 PM on Friday, February 17, 2006, my world changed forever with a 7 pound, 2 ounce baby boy. A baby boy who is now FIVE. Who has a snaggletooth smile and is tall and skinny and who looks so handsome with some product in his hair. But he won't let me say that he's handsome. He just wants to be a regular boy. He is anything but a regular boy. I have not been able to find the words to describe my emotions this week. I feel like I'm on a ride that is getting faster and faster and I'm hanging on for dear life, begging it to reverse. Take me back to Baylor Grapevine Hospital and let me hold my baby boy again. Take me back to Gymboree for his first birthday party. Take me back to Halloween when he wore the vintage golfer costume. This is what my heart says. My mind says that every year with Jackson has been better than the year before. 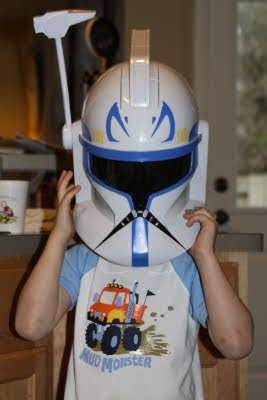 My mind says age four was great and age five is going to be a blast. My mind says to embrace the present and the future with Jackson and enjoy the toddler I still have in Annabeth. You may have noticed that my thoughts about Jackson have become more private in the last year. I think that's probably a good and normal thing. I feel more protective of his privacy since he'll enter school soon. He's getting older and one day he'll realize his mother has been writing very detailed descriptions of our lives on the world wide web for all to see. Eek! These days, when I have something wonderful to say about Jackson, the first thing I do is not run to the blog. I tell him! It is edifying to both of us. My parents taught me though their actions that if you think something great about someone, you should say it. We are definitely "words of affirmation" people. Yesterday after I picked Jackson up from school, we sat at the table and had a snack. I asked Jackson if he was sad about something and he actually told me what it was. We had a whole conversation about one of his friends leaving school early and how bummed he was about it. I couldn't believe that he opened up to me like that. All that to say, our communication is growing by leaps and bounds. It's beautiful and so much fun. So if I'm communicating less here, it's because I'm using up some of my words with this guy. We have had such a great weekend so far. On Friday we got to keep my friend's little girl, Ellison, for a couple of hours and the kids and I enjoyed her so much. She is just a few months younger than Annabeth and is like a living doll - just adorable. Jackson surprised me by assigning himself the role of her host and tour guide through the Jones family toys. My heart nearly exploded. When he was small it always blessed me when older kids were kind to him. He and I talked a lot about this at Christmas in Missouri when he was around younger cousins. I so wanted him to be as kind to them as his friend Nathan and his cousin Gavin had been to him as a toddler. So seeing this protective, sweet, generous side come out with Ellison gave me so much joy. He is a great big brother, too. He puts up with a lot from his little sister - his constant shadow and wrecker of complex toy systems. "Bubba" is her favorite word and, I suspect, her favorite person. Last night we had a social with the couples from our Sunday school class, complete with Lupe Tortilla Fajitas, a surprisingly physical game of Catch Phrase, and my personal favorite, silent football. It was very enjoyable. After a late night, we were lucky to get to sleep past 8. Annabeth was still wide awake and talking to her teddy bears at 11:00 PM and that turned out in our favor. Curtis got us some donuts and kolaches and they were extra good. My dear friend Sabrina (of Noodles and Milk fame) and her little girl Emerson were in town and they came by for a playdate. The weather has been wonderful today, so we enjoyed the trampoline and play set in the backyard and a walk to the park. This morning I opened up a drawer to look for a rubber band and a $50 gift card to Target dropped out of the back of the drawer and on to the floor. Awesomeness! Apparently I needed to go to Target today. I did go and found that our store has gotten brand new carts that are smooth and don't make a peep. I'm deeply ashamed that I got as excited as I did. I tried on a couple of cute headbands but the minute I put them on my head, they were no longer cute. I don't know what happened. I also got some treats and Valentines to take to a chocolate party that some of my girlfriends are throwing tonight. Can you think of anything better than a late night chocolate party with some really funny girls? Right now I cannot. This afternoon Curtis was repairing some damaged fence boards and we were all outside with him. Before all was said and done, we had invited six neighborhood kids to play with us in our backyard with us. We loved it. I'll leave you with this because I'm about to eat a big juicy hamburger. (I'm just going for it this weekend, y'all.) Here's a picture of Annabeth with her teddy bears at her new table. It makes me so happy. I spent the morning walking around Ikea all by myself. My kids are getting a market stand for their birthdays and I was looking for little things in the kid section that could go with it (like fake food and plastic dinnerware). 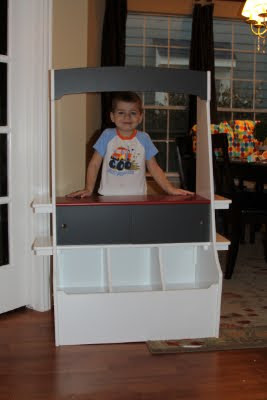 The market stand is going in the game room and the little pink kitchen is already in Annabeth's room. I thought Jackson would get a kick out of being the grocer and Annabeth would have fun shopping with her little cart and taking her groceries back to her kitchen. I also got a little table for her room where she can pretend to eat what she cooked. I think it will be adorable. I was enjoying myself until I walked up on the checkout lanes and the only thing open was the self-checkout. That happens sometimes at the grocery store I cannot tell you how much it annoys me. Instead of being rewarded for shopping at a low traffic time, you get to serve yourself! I really don't mind if I have 10 things, but more than that is ridiculous because you've got to fit it all on the narrow table where an automated voice yells at you if something you scanned is not immediately laid to rest on it. My cart was full of little things (for example, 13 individually priced fake flower stems) and it was taking me sweet forever. A worker - the first to speak to me since I'd been there - came over and helped for a minute. I got finished and realized that there were no bags to put all this stuff in. She told me matter of factly that I had to purchase my bag, but by then I'd completed my transaction. Then she reminded me that to get all my loose items to the car, I had to wheel the cart to a loading area, leave it there for anyone to take, and go get my car. The next step was to gather as much junk in my arms as I could and make five different trips from the loading area to put it all in the Jeep. I kept saying to myself, "What kind of store is this? You can hardly figure out how it works!" It's a good thing none of the employees said a word to me or looked me in the eye because I might have said it out loud. Then...then, dear reader! I realized exactly what kind of store this was. A European store! Or more specifically, a southeast Texas interpretation of a Swedish store! All the memories of my head exploding while we lived in England came flooding back to me. Standing at the check out line at Asda, just twittling my thumbs or making jokes with Curtis while everyone in line wondered why that American chick wouldn't get to bagging her own groceries. (I forgot!) Having to put a pound in the grocery cart at Sainsbury's to be able to use it. Ordering popcorn at the theater and forgetting to specify that I wanted salty popcorn, not sweet. Having to ask and ask and ask for our drinks to be refilled. Accidentally getting two tickets for driving in downtown London without a permit. We thought there would be a toll booth or something and boy were we wrong. Learning that at age 24 I apparently did not know how to stand in a queue correctly. It had been a long time since I remembered the insecure - and sometimes maddening - feeling of living in another country and not knowing how things work. You'd think England wouldn't be that different from America, but it is. And we were in the northeast, which meant it took a long time before we could understand what anyone was saying. During those five months I often thought about what immigrants must go through when they come to the United States. It must be so hard. It's very humbling to be placed in an environment that makes you question your capability to do basic things like stand in a line. Being misunderstood - whether culturally or verbally - is also a horrendous feeling. 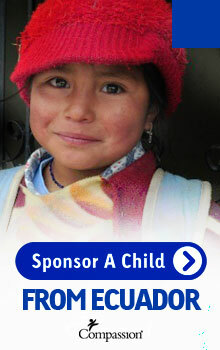 It gave me a lot of compassion for what people go through when they come to our country. As Americans in England, I'd say Curtis and I received favor, or at the very least a decent amount of respect from British people. But I don't think one could say the same for immigrants in America. Hard. That's all I'm saying. It's hard to leave your culture and adapt to a new one. Let's remember to have compassion on people who are new to our country. These pictures are from the day before Annabeth's birthday. 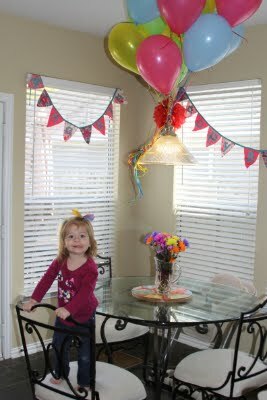 I hung her banners over the window along with a couple of last year's party poms. Only one stayed up there. Curtis picked up some balloons and flowers for his girl. The kids enjoyed some hot chocolate. It was so cold outside! I dressed Annabeth in her birthday outfit for the little pizza and cupcake party at my mom's house. Bibby greeted the birthday girl, who was very aware that she was being celebrated. We said, "Annabeth, how old are you today?" She'd hold up one finger and say, "Two!" So many presents, but she's pointing at the cupcakes! These were from a place called Treat. The chocolate one with white icing and chocolate sprinkles was heavenly. 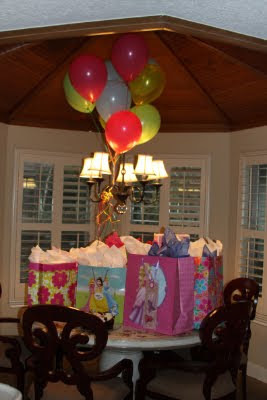 The balloons made the journey with us. They were very festive. 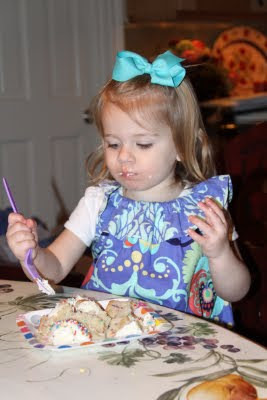 Annabeth was very amused by and drawn to the candles in her cupcake. Notice that I am holding her hands! My kids love cake and cupcakes as much as I do. Annabeth got some adorable outfits for spring and summer. 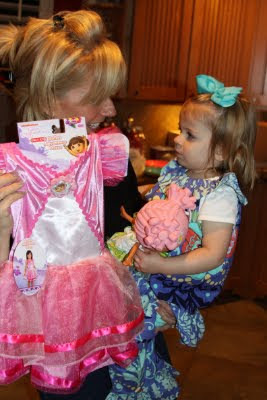 And a Dora princess dress! Aunt Sassa got her a makeup set. She was in love. We got tickled about Annabeth being a Proverbs 31 toddler. She had to stop and put on her lipstick. We were rolling! The boys played some music for us. It has been an eventful day. We were supposed to wake up to snow covering the ground, but instead there was only ice. What a huge bummer! I cannot accurately describe what a big deal this winter storm has been in our city. We've been hearing about it non-stop all week. I totally bought into the hysteria while my husband remained doubtful. I will never hear the end of it! Curtis was supposed to catch a flight to Arkansas today, so he drove an hour across town to Hobby Airport only to find his flight wasn't going to make it. At least he got to eat at Papasito's in the airport. A few hours later he made it back home safe and sound. I was filled with fear and dread all morning (the newspaper said there were 100 accidents in 4 hours), but I'm grateful to God for keeping him safe on the road. I hate that he didn't make it to the Disciple Now he was speaking out. As it turns out, the event was cancelled due to bad weather in Jonesboro and they are going to reschedule it. Whether you're snowed in or free to move about your town, I hope you have a great weekend with your people.